Alhaji Babagana Kingibe, running mate of the late Chief Moshood Kashimawo Olawale (M.K.O.) Abiola in the June 12, 1993 presidential election, said Federal Government’s declaration of the day as Democracy Day was a great honour. He also commended President Muhammadu Buhari for the announcement that national honour would be conferred on Abiola, acclaimed winner of the election, himself and late human rights lawyer, Chief Gani Fawehinmi (SAN). He said on telephone that he preferred to concentrate on his religious rites for now. “There will be time enough to share worldly thoughts with friends,” the former Secretary to Government of the Federation (SGF) said. 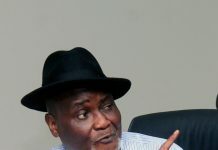 On his part, former General Secretary, National Union of Petroleum and Natural Gas Workers (NUPENG), Chief Frank Kokori, said the day June 12 was declared national Democracy Day was the happiest day of his life. Kokori said that the recognition of the date would go a long way in deepening Nigerians’ faith in their country. “This declaration is not an ordinary one. It is going to encourage Nigerians to contribute selflessly to the social, political and economic emancipation of their country. “No matter what anyone may say, President Muhammadu Buhari has, through this act, restored hope of Nigerians in Nigeria,” he said. 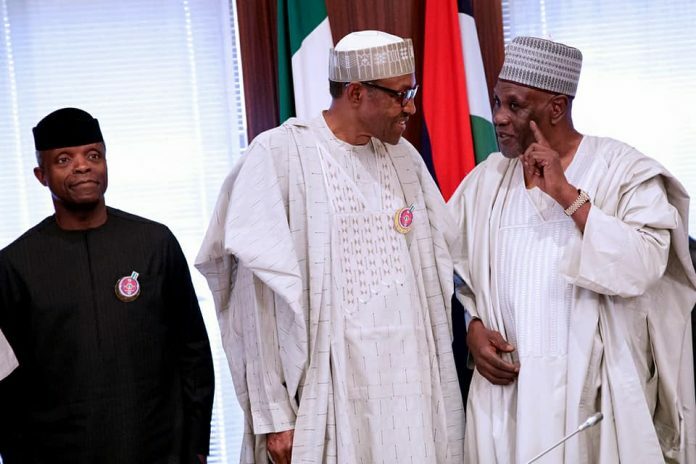 Buhari, on Wednesday announced the replacement of May 29 with June 12 as National Democracy Day, in recognition of June 12, 1993 presidential election believed to have been won by Abiola. The late business mogul was also conferred, posthumously, with Grand Commander of the Federal Republic (GCFR). Kokori said that Buhari was the last person expected to recognize June 12. “Ordinarily, one would have expected such a national service to come from former President Olusegun Obasanjo, who himself went to prison, though for slightly a different reason. “But here we are and when all hopes were seemingly lost, someone came and did justice to the struggle. “I cannot claim personal glory for roles played during the struggle in spite of countless tribulations, but the honour goes to NUPENG, and the union will come out with official reaction to this landmark gesture,” he said.